Stay in the city centre at Trestad's largest hotel. You can arrange conferences or galas in our function rooms. Head out on a bicycle and explore the city's surrounding areas, and visit our beautiful restaurant and open-air café right on Trollhatte Canal. When you stay with us at Scandic Swania, you can take a dip in our indoor pool, keep fit at our gym and relax in our sauna. Enjoy a delicious dinner in our charming restaurant. Hold meetings and conferences in one of our 10 conference facilities for up to 170 people; we can also arrange banquets for up to 400 people. We offer free WiFi to all guests at our hotel. 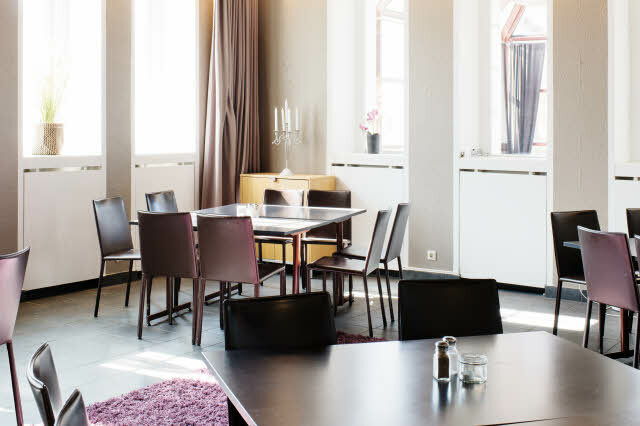 Scandic Swania is close to everything Trollhattan has to offer: restaurants, cafés and city walks. Take the opportunity to explore Trollhattan's beautiful scenery, hiking trails and the fantastic views around Lake Vanern. There are also excellent opportunities to enjoy a round of golf in the area around Trollhattan. You can also get to Gothenburg in just 35 minutes by train. At conference hotel Scandic Swania, located centrally in Trollhattan, we offer meeting and conference facilities for conferences, conventions, events, meetings, trade fairs and celebrations for up to 400 people.